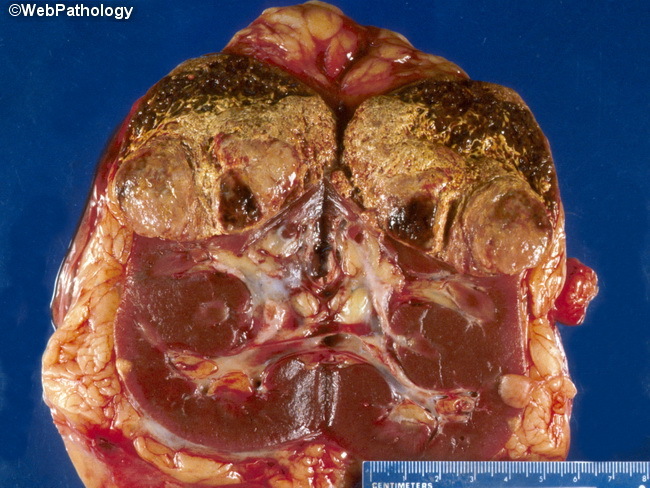 The tumor has marked variability in color and texture. Some areas are bright yellow and friable, others brown, perhaps from remote hemorrhage to tan and fleshy. Tan, fleshy areas must be adequately sampled to determine the presence of sarcomatoid transformation, an adverse prognostic finding.